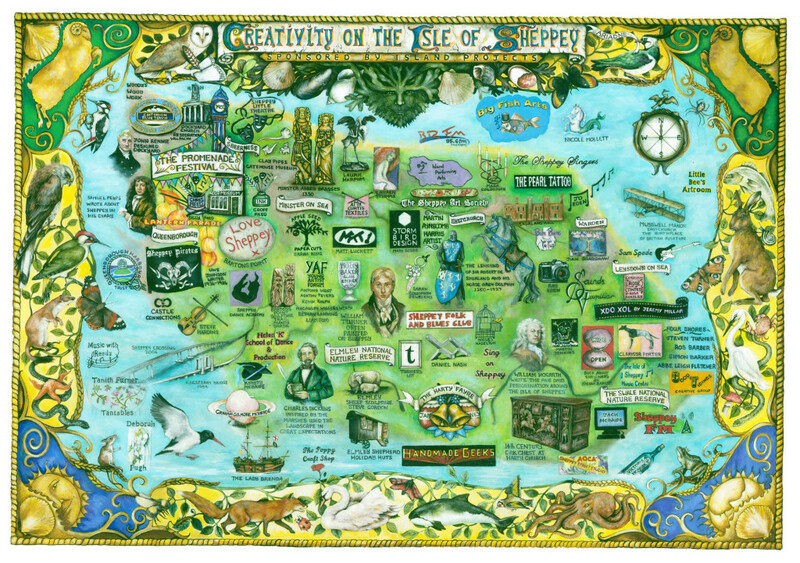 Island Projects is producing a Map of Creativity on the Isle of Sheppey working in collaboration with artist Victoria Mc Bride. We have been researching all the individual artists, writer, performers, creative groups, museums galleries and public artworks which exist on Sheppey with the help of our members. The final artwork has been produced as a beautiful limited edition A2 folded print, design work by Storm Bird Design (see https://stormbirddesign.wordpress.com/2015/08/02/the-map-of-creativity-on-sheppey/ ). 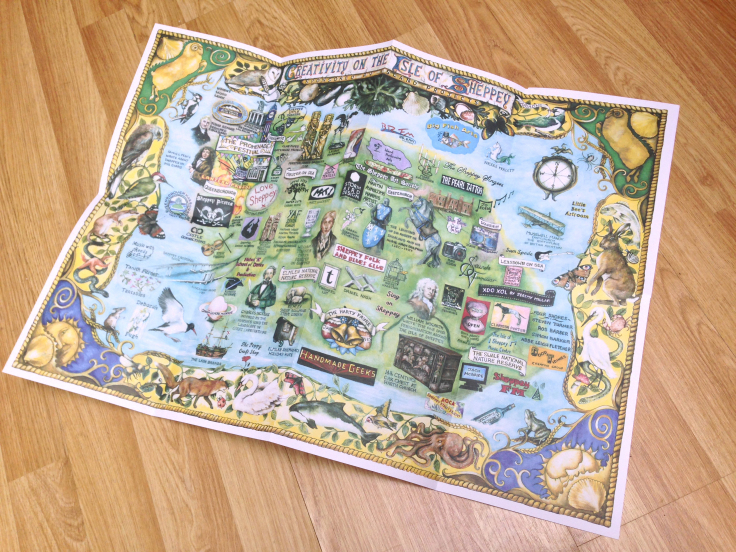 The Map is for sale online for £2 a copy (plus postage, see below paypal button). Or you can visit the Rose Cottage of Curiosity in Sheerness, to buy your copy in person and see the original artwork as part of the ‘Monsters, Maps and Myths’ exhibition. The exhibition is open Tuesdays and Saturdays, and other days by appointment.